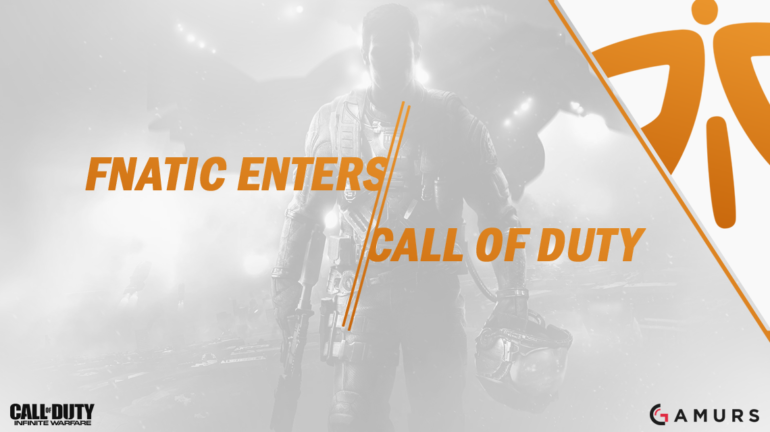 Fnatic has picked up a UK-based team for the Infinite Warfare season. A new European powerhouse has entered Call of Duty esports. Fnatic has picked up a UK-based squad consisting of Tom “Tommey” Trewen, Matthew “Skrapz” Marshall, Gurdip “SunnyB” Bains, and Bradley “wuskin” Marshall for the Infinite Warfare season. The Fnatic esports organization was founded in 2004, at which time they fielded a Counter-Strike team that won CPL Singapore 2005. With ups and downs afterward, Fnatic has had varied success in Counter-Strike throughout the years, but have been a top team in the game nonetheless. Then, in 2013, Fnatic won the very first Counter-Strike: Global Offensive major and won two more in 2015, cementing themselves as a team synonymous with Counter-Strike and the best in the world for a time. The Fnatic organization is well known in other games as well. They have been represented in League of Legends since Season One – the year in which they won the World Championship. Fnatic has been a dominant European League of Legends team ever since, winning multiple EU LCS splits. The organization has also signed teams in a variety of other esports throughout the years, but this is the first time they will field a Call of Duty roster since Call of Duty: Ghosts. Extremely happy to announce @SkrapzG, @wuskinz, @SunnyBCoD and I will be representing @FNATIC for the IW season. Tommey, SunnyB, Skrapz, and Wuskin are currently ranked fifth in Europe in CWL points. Their first LAN event together is the upcoming CWL Gfinity London, a 16-team invitational for the top-ranked teams in Europe. Afterwards, they will be attending a flurry of other events as the Infinite Warfare season kicks into gear. Though not much is known about Wuskin, he will be supported by players with an abundance of professional Call of Duty experience. Tommey played for the dominant Millenium squad throughout Black Ops III, and SunnyB and Skrapz teamed together for a decent chunk of the year on Epsilon. The trio all played at the 2016 Call of Duty World League Championship on their respective teams. What do you think about Fnatic entering Call of Duty? Comment your thoughts below or on Twitter. Josh Billy can be contacted via email (josh@gamurs.com) or on Twitter.